AIR Awards in Adelaide, or should that be Radelaide? After the overwhelming success of last year, Indie-Con Australia took place on July 26th and 27th, held in conjunction with this year’s AIR Awards in Australia’s UNESCO City of Music, Adelaide, thanks to support from the South Australian Government, and Underfoot Records were there, getting our groove on and listening to speakers that were illuminating and inspiring, highlights included closing keynote from Hoodoo Gurus’ Dave Faulkner and long time manager Michael McMartin, Dom Alessio speaking from his new found home at Sounds Australia, Victoria’s new Music Development Office GM and Artist Manager – Bonnie Dalton, Spotify’s Tom Mee and Alicia Sbrugnera, and Andy Mak and Adalita teaming up with their Publishers Matt Tanner and Linda Bosidis. 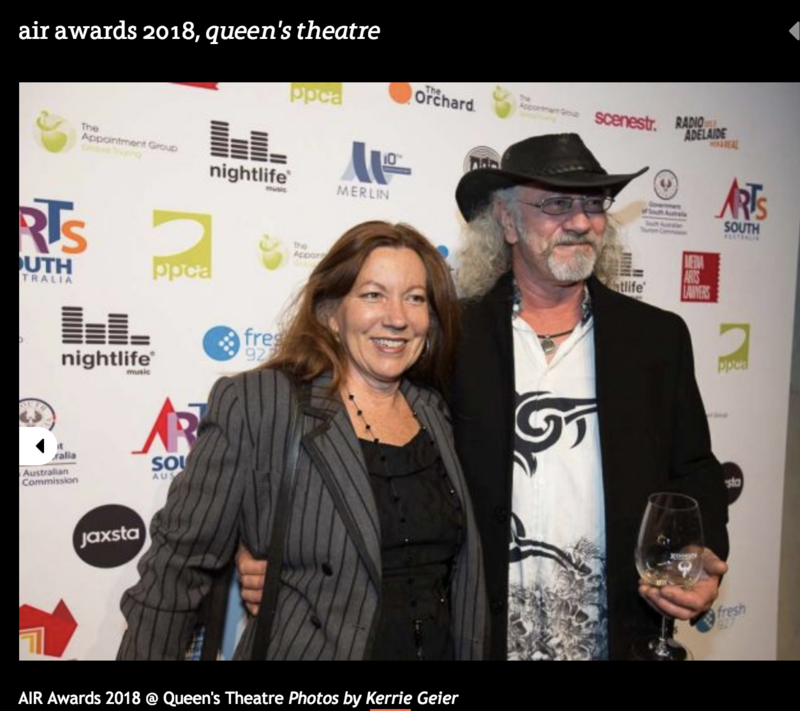 2018 AIR Awards ceremony and official after-party, the conference tied in with Adelaide’s Umbrella: Winter City Sounds and Scouted, so much to see and do in Radelaide, and Deanne & Michael Hardwick were spotted on the red Carpet, and cant wait til next years conference.